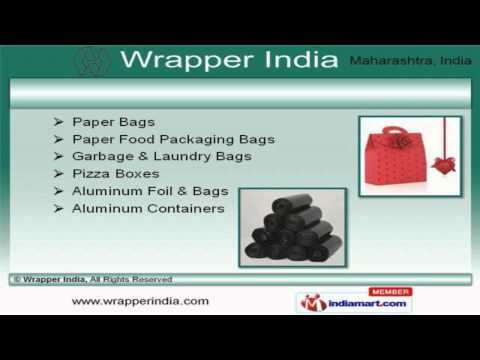 Welcome to Wrapper India, Exporter and Supplier of Packaging and Plastic Products. The company was established in 1995 at Mumbai. International quality standards and Ethical business practices help us to achieve a present repute in the market. The Oberoi Hotel and ITC Limited are some of our prestigious clients and we are backed by on time delivery of consignments and Easy payment modes. We offer a wide assortment of Paper Glasses, Coasters and Biodegradable Paper Products. Pizza Boxes, Aluminum Foil and Containers offered by us are a class apart. We also provide Packaging Boxes, Duster and Napkins that are setting a benchmark in the market. Safety Hygiene Products, Food Chopsticks and Room Amenities are reckoned all over the world for their superb quality. Room Amenities, Packaging Sachets and Drink Stirrers are extremely reliable. Our PVC Cling Film, Ice Cream Tub and Paper Napkins for Homes are one of the best in the market.